While wandering around the backstreets of Harajuku with Valerie last week, I came across the fabulous store Ales. I used to be hugely into dreadlocks and falls, and am still into wigs in a big way, so seeing this showroom made my heart go giddy-up! But really, it was all about the wigs, baby! 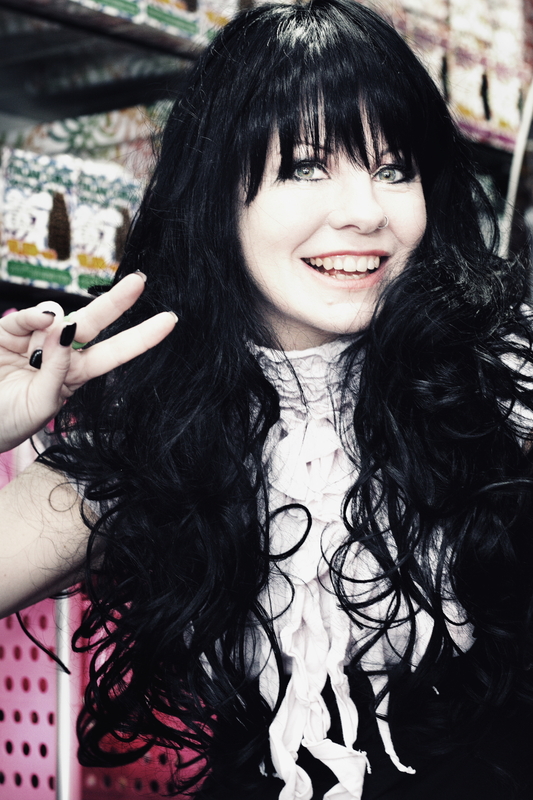 There were styles for lolitas, gyaru, disco babes, sensible girls…everyone! 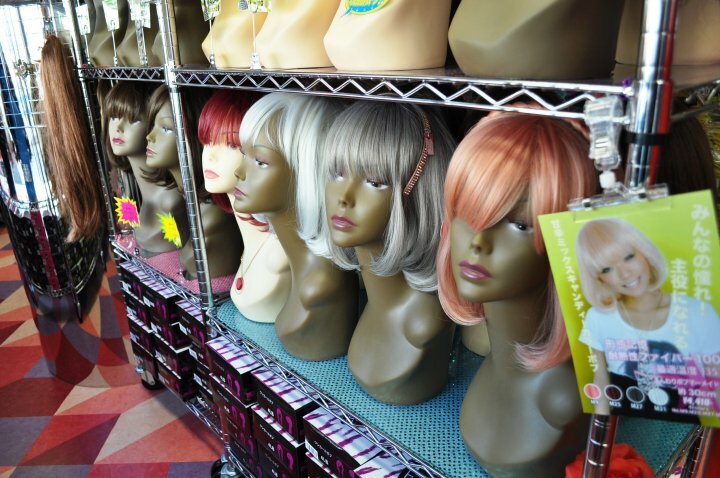 Honestly, if you are into fake hair at all and you come to Tokyo, you MUST visit this place!! You will be soooo tempted…as I was…. Kawaii!! Yep, I was so taken with the wig that I bought it. (Waddya reckon, by the way?) And I have my eyes on some others for next time…. I reckon black hair really suits you! You look like Zooey Deschanel! I shall add this place to my list to see when i go to Japan!! Hehe, yes we will indeed! Did they have clip-in extensions there? I didn’t find those on their website, so decided to ask, perhaps You happen to remember if they did. Have you ever been back to the store ~ it’s been a few years since this post xD Is this store still there? Well, it was there late last year when I was there…I’m pretty sure it still is!